The fall of Lehman Brothers may be remembered as the earthquake that set off the global financial crisis of 2008-09, but tremors could be felt much earlier. Exhibit A: the collapse of two Bear Stearns hedge funds in the summer of 2007. The episode was a stark example of what could happen when low-grade mortgage-related securities plummet in value. 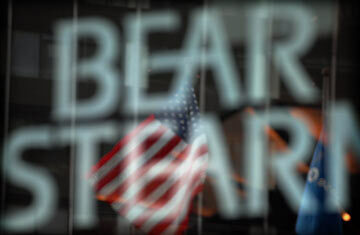 The funds' implosion was a major contributor to the March 2008 sale of Bear Stearns to JPMorgan for a mere $2 a share. Federal prosecutors later indicted the hedge funds' managers, Ralph Cioffi and Matthew Tannin, for conspiracy and fraud. The government holds that the men knew about problems with the funds and lied to investors. The men have maintained their innocence. The trial is scheduled to begin on Oct. 13. See the top 10 worst business deals.